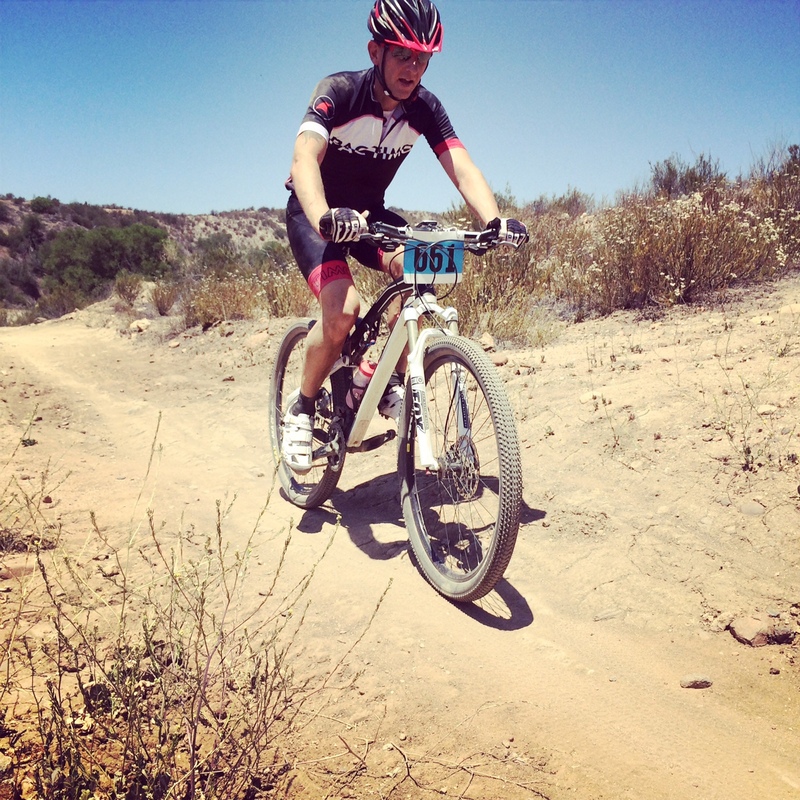 This weekend we traveled out to Temcula to ride the Six Hours of Temecula, a looped mountain bike race. The race was really for Stuart but I decided at the last minute that I would give it a go. I am in reasonable shape so what the heck! As soon as we lined up to start I knew I had made a mistake. There were a lot of people there and I had a feeling this was going to be harder than I thought. The course itself was very ride-able save for a few very steep sections. The problem I quickly realized was that I was SEVERELY lacking confidance on the trails because I hadn’t ridden my mountain bike in months. Then that was coupled with the fact that once we all finished the first loop, the other riders would start passing me a regular intervals on some pretty narrow single track. The thought of that had me paralyzed. I managed to finish the loop (even thought I almost cheated and cut out early). But I parked my bike and called it quits. After a few tears shed under my sunglasses and a few messages to my coach I felt a lot better. I was doing this event for fun. I wasn’t having ANY fun. Not because of the event; that was super cool and very well organized. I wasn’t having any fun because I was scared to death I was going to crash or get in the way. All the other riders were super nice and I am sure they would have been very polite if they had to pass me. I was just terrified I would fall and mess up their race. I didn’t need that worry. This was the first event I ever quit. Glad to get that out of my way! Stuart making his way through his third loop. The aftermath of a couple of sharp turns at high speed! Stuart did amazing! He did 4 total loops and had two wipe outs but he also had a huge smile on his face the whole time! I am so proud of him! We both want to go back and do it again. But this time I will train the terrain for sure! 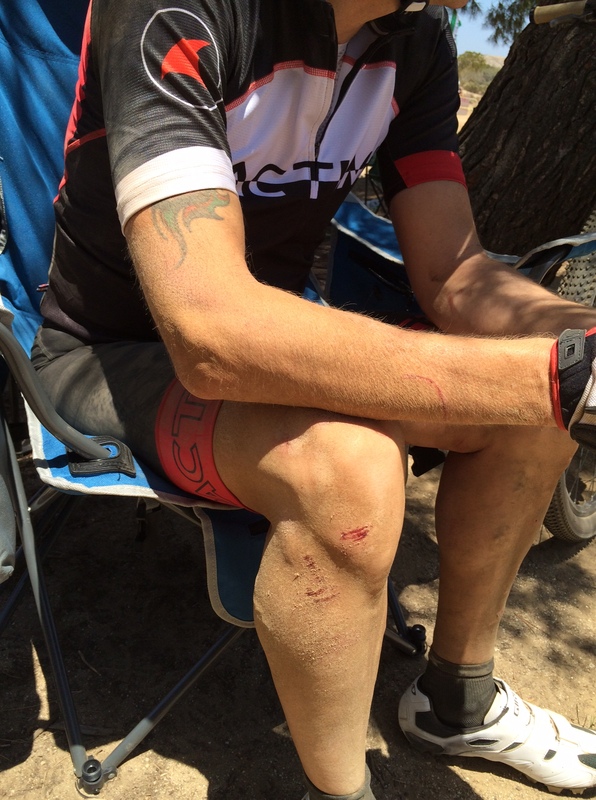 road/tri bike fitness does NOT equate to mountain bike fitness! 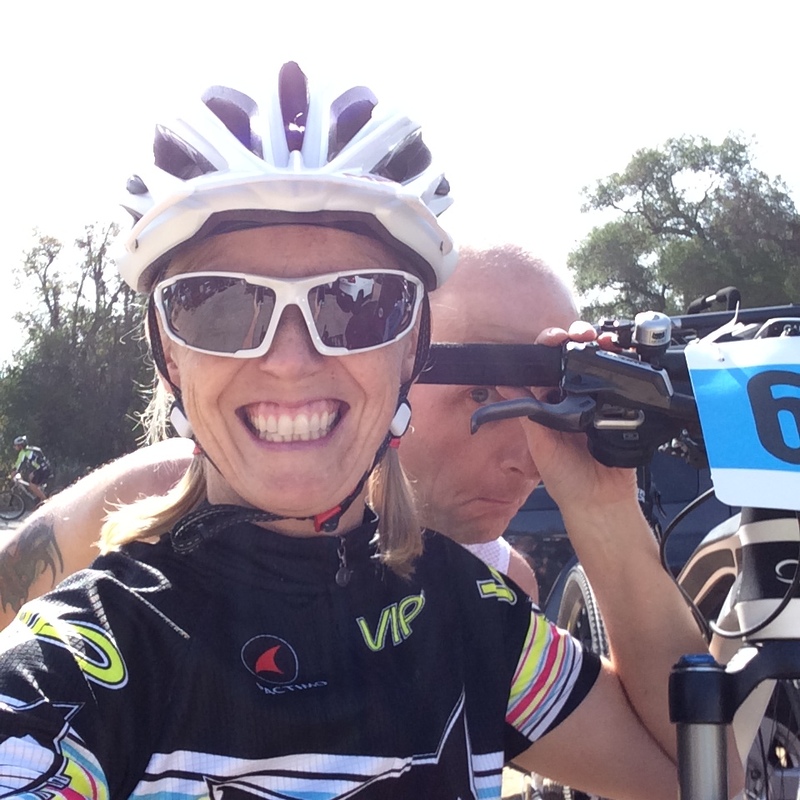 Also, I met a mountain biker at the race who is from where I live; she is really good and we have some mutual friends. Anyway she said she would take me out and help me with my skills some time! Awesome!!! Click here for the Garmin details on my one and only lap.